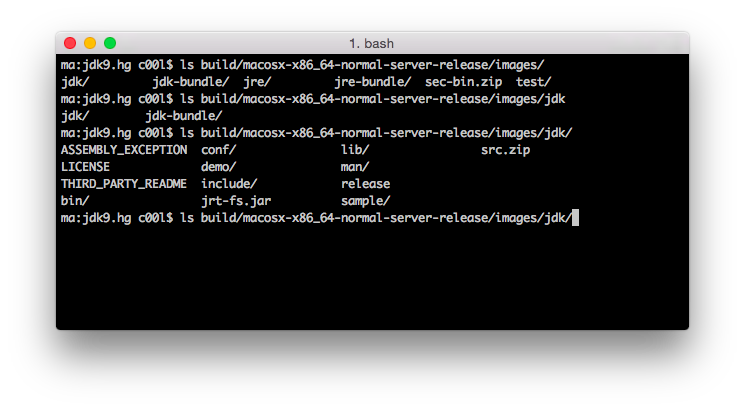 This is a tiny tutorial on how to build your own copy of OpenJDK 9 from the current sources. 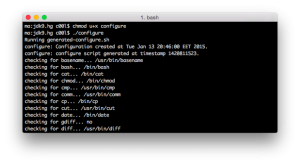 Install brew or macports. I prefer brew. Both are package systems for OS X.
ccache is a compiler cache - speeds up the build. We need them so we have a C compiler and other tools. Takes 10-20 secs. This downloads basically a couple of scripts that we will execute to get the actual sources. The last command can can take 10-20 minutes depending on the connection speed. The second command took a bit less than 20 minutes. 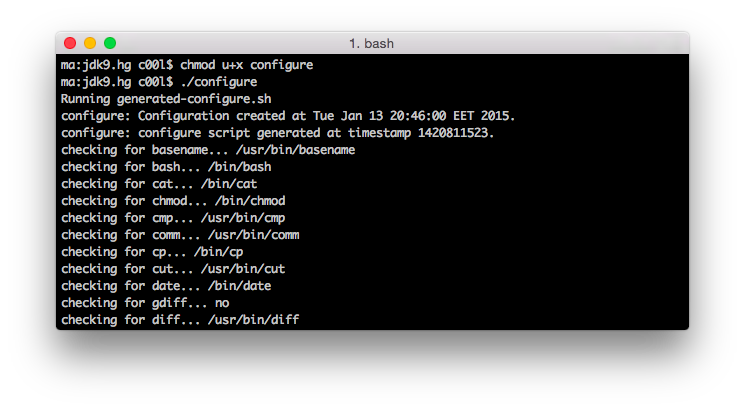 The first command is fast. The result: we have this created: build/macosx-x86_64-normal-server-release/images/jdk/ - this is the built OpenJDK 9 - SUCCESS. Download from https://adopt-openjdk.ci.cloudbees.com/view/OpenJDK/job/jtreg/ (not the Snapshot version, the other one). unzip in jdk9, so we have jdk9/jtreg. NOTE: Change /Users/steve/jdk9/ with your folder on the top line. NOTE: Check the correctness of PRODUCT_HOME too. Webrev crawls over your changes to generate a set of web-based views of the differences in your code. The different views allow reviewers to easily look at your proposed changes, selecting the appropriate difference format based on the type of file, the type of change, and their own preferences. webrev.ksh is a 70kb kshell script. Pretty weird. To prepare a webrev, make some changes. For example in the jaxp folder. Then we commit locally in the mercurial repo. jaxp# hg commit -m "BGJUG: Fix compiler warnings in jaxp repository"
Note: execution times come are measured on a pretty recent Macbook Air. I think there's an extra 'x' here where you say x64. you're correct, I made a small poopoo. Fixed. Otherwise your instructions have been incredibly helpful and I am much obliged. isn't the jtreg from the link in the my blog post working? Sorry for all this spam. I solved the problem by finding another download (last known stable build) and then I linked the linux/bin directory into the level above. And that seems to have fixed it. 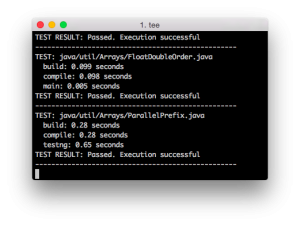 Tests are running now. If './configure' fails with the error 'unable to find freetype', then you have to install it. It's easy to build and install freetype in Mac OS.